Crafted here in the good ‘ol U.S. of A., Sterling Rope has worked hard to develop a reputation of quality and consistency. 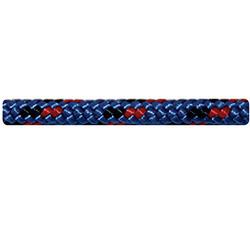 As the manufacturer of safety rope, cord and hardware, they have created gear that never stops short of getting the job done whether that be for climbing, guiding, arbor or rescue. Striving to lead the pack in innovation, Sterling Rope works closely in the field with a variety of companies in order to develop a superior product that is guaranteed to meet a plethora of needs and exceed all expectations. Based in Biddeford, Maine, Carolyn Brodsky founded Sterling Rope and still oversees the whole show to ensure that product development remains at the core of business just like it has since the beginning. Scrutinizing engineering, R&D and quality control at every juncture is commonplace so that Sterling Rope is able to not just meet worldwide standards, but actually raise the bar to set new ones. It has become a rarity in this day and age, but this company still believes in hand-checking every hunk of product prior to bagging and shipping it. No matter the length or diameter, each rope is run through an attentive pair of hands and assessed by a critical pair of eyes to make sure that every piece is going to raise your standards too. Sterling Rope sewn products have gathered quite the following much in part to the care and attention put into the creation of each piece. Kayakers and climbers alike are celebrating the Sterling Rope Chain Reactor for its utility and durability. 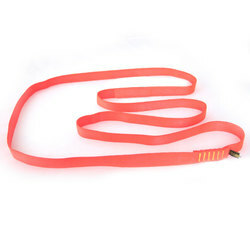 Used as a tow or rescue line, kayakers are hooked because of the outstanding energy absorption and abrasion resistance. Climbers have used the Chain Reactor as a replacement for the daisy chain as it extends the braking power of a rappel device and it also has the capability to withstand multiple factor 2 drops. People are discovering all kinds of uses for gear like the Sterling Rope 8mm Accessory Cord. 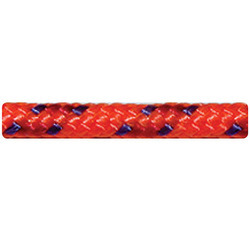 With the ability to be used over a wide range of activities, this particular rope is made from a high MBS and includes a durable sheath, which makes it perfect for everything from towlines to tethering up the dog. The reflective tracer threaded into the sheath of the Sterling Rope GLOcord 2.75mm comes in handy in all kinds of camping situations like pitching your shelter or marking the trail. By ushering in new technologies with the intent of making work easier and your adventures more fun, Sterling Rope never stops seeking out the best ways to keep you safe. Rest assured that Sterling Rope stands firm in their commitment to exceeding your expectations so that you can continue pushing the limits in everything that you do.